Did you know that UK universities have a second large intake of students each academic year? Following on from the main intake which takes place every September, each January universities across the UK offer foundation, undergraduate and postgraduate courses to students who needed more time to complete pre-university study, apply for funding or arrange their visa. Learn more about some of the fantastic universities and pathway providers who will be offering courses from January 2019 below, and meet them at our January 2019 Open Day at the SI-UK office in London. Entry is free by registering today! Coventry University is ranked 12th in the Guardian UK University Guide 2018 and is the UK’s Top New University in the Complete University Guide 2018. The University has also achieved a gold rating in the Teaching Excellence Framework – the highest possible award. The University of East London was ranked the best modern university in London in the National Student Survey 2018 league table, and thousands of international students have launched their careers by studying one of their 300-plus globally recognised degrees. The University of West London has one of the best employment rates in the country with 96% of students in work within six months of graduating. Their West London campus is located in what is widely regarded as being one of the most desirable places in London to live. The University of Westminster offers a vibrant and international learning environment, fostering innovation and creativity. Media, Arts & Design department outstands for its practical education and high-quality academic teaching. 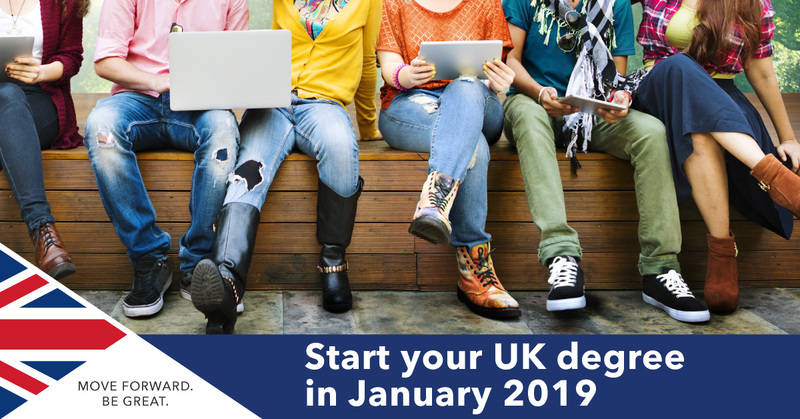 Do you want to learn more about the above institutions and study in the UK from January 2019? Arrange a free consultation today in London or Manchester to get your application started and don't forget our January 2019 Entry Open Day takes place this December 5th and 6th in London.